It’s about time to show all the legal immigrants that all the time, money and hard work it took to come here and become citizens was not just a waste. Our laws on immigration are not there to keep people out, they are there to keep the wrong people out and to protect our citizens. Since President Trump, has taken a tough stance on illegal immigrants many European countries decided to follow his example! 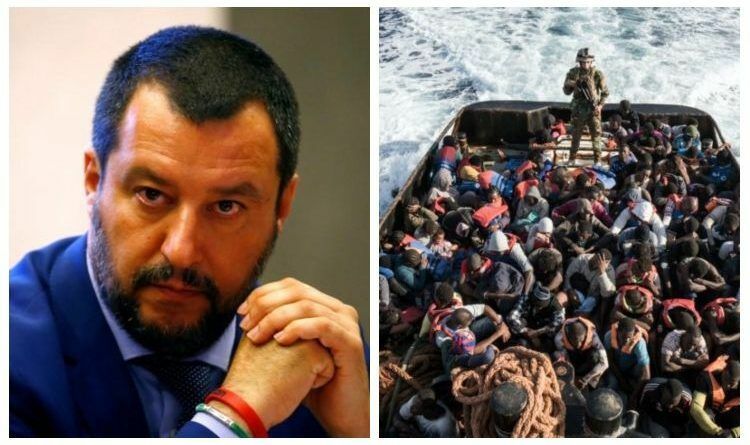 One of them is Italy and again as President Trump wants to Make America Great Again, Italian deputy Prime Minister, Matteo Salvini, wants to make Italy great again! With 5 million Italians living in poverty, Italian deputy Prime Minister, Matteo Salvini, has stated that they will cut the migrant funds and use that money for Italians. “I don’t like the fact that with 5 million Italians living in poverty we have to spend €5 billion-a-year for these migrants,” he said at a rally a few days ago. “We will cut these funds and use them for Italians”. He went on to say that “with fewer taxes, with fewer foreigners, with more security, we will once again be the most beautiful country in the world”. We should do the same here, why should any taxer payer fund the legal advice for an illegal alien? Who is funding our legal advice? Well, no more! If you come illegally you get caught, you pay the price. Not me or any other taxpayer. Do you agree? Share this article if you support Trump administration’s efforts to crack down on illegal immigration!